1 of 3 Brush chicken with 1 tablespoon of the vinegar and season with the oregano, 1/4 teaspoon of the salt and 1/8 teaspoon of the pepper. Heat 1 tablespoon of the oil in a large nonstick skillet over medium-high heat. Cook chicken 3 minutes per side. 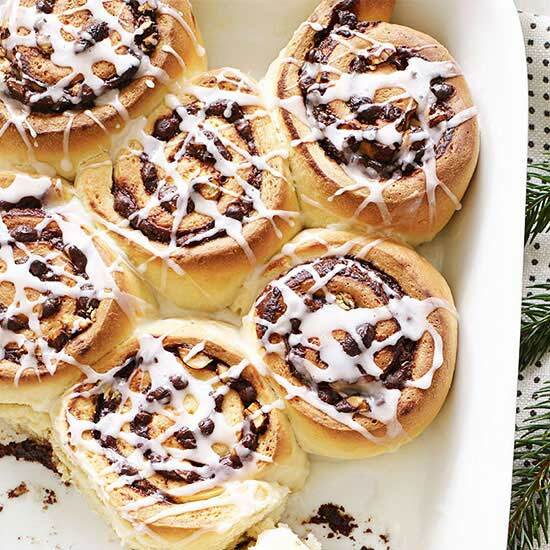 Remove to plate; keep warm. 2 of 3 Add remaining 4 tablespoons vinegar, 1/2 teaspoon salt, 1/8 teaspoon black pepper, 3 tablespoons olive oil and the plum tomatoes to skillet. Scrape up any browned bits from bottom of skillet and gently heat through, about 1 minute. 3 of 3 Toss together escarole, romaine lettuce and red onion. 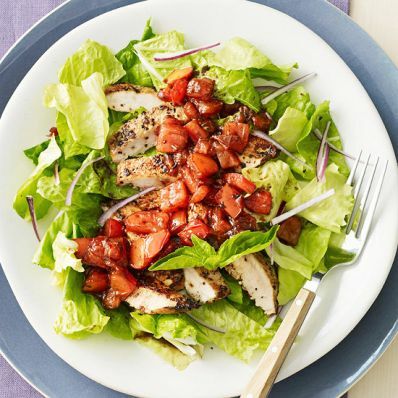 Slice chicken and serve over salad and spoon warm tomato vinaigrette over the top. Garnish with fresh basil.